Photography takes me to interesting places. Today my search for interesting and different subjects for my photography took me to a place I had never been–practically in my own backyard! 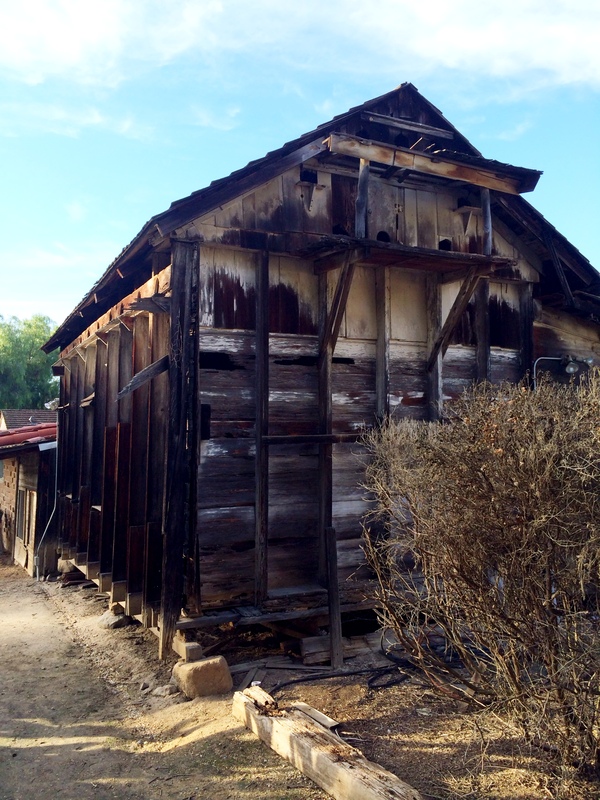 The Leo Carillo Ranch is a park not far from where I live that transports you to another time. Old adobe buildings are set in a valley just enough removed from housing tracks and road noises that you don’t notice you are in a middle of a bustling suburban development. The first thing I noticed as I walked around were signs asking for people not to disturb or feed the pea fowl. Pea fowl? That piqued my curiosity! 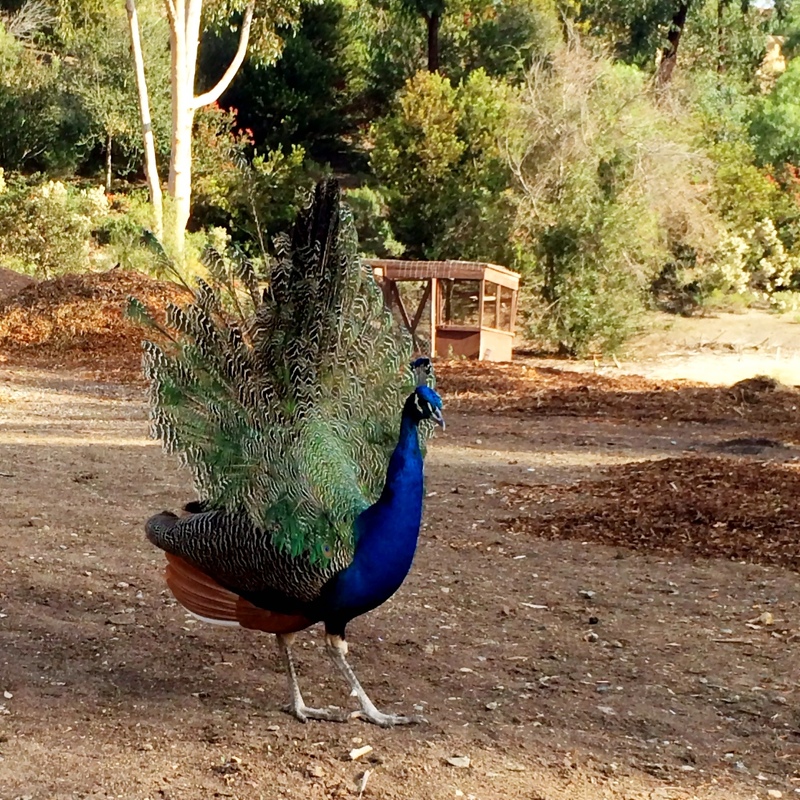 I started looking around for evidence of pea fowl…and boy, I was not disappointed! Peacocks and pea hens were everywhere! And they were totally nonplussed by people taking photos. 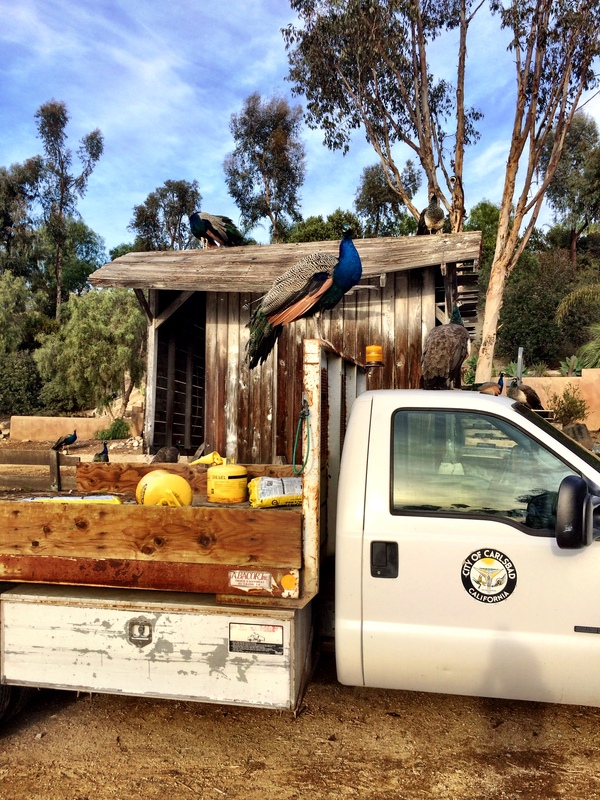 The woman who works in the visitor center told us that these pea fowl are all descendants of the original six that Leo Carillo brought to the ranch. There were the showy males with their bright blue heads and gorgeous tail feathers that they spread and show, smaller and plainer females in shades of brown, and smaller still were the youngsters. There must have been at least 50 that I saw strutting around the grounds. Apparently Leo brought them because they eat snakes and lizards and are loud enough to keep coyotes (which are very common in our area) away. I love this guy posing on top of the truck! This park is the result of an effort to preserve historic buildings and provide open spaces in the community. There are antiques windmills and rustic old buildings…beautiful to look at and fun to photograph. We saw many professional photographers shooting family Christmas photos throughout the park. 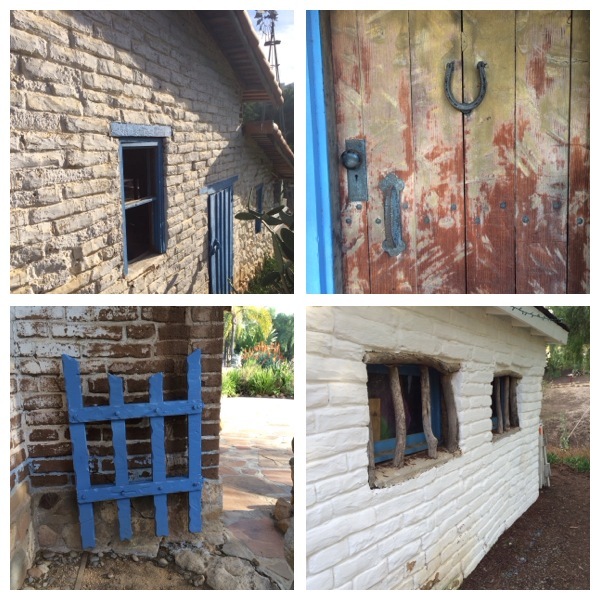 I love the old adobe buildings…and I found myself photographing windows and doors. There is something beautiful about the imperfections…and the colors are amazing! The foliage was also gorgeous. 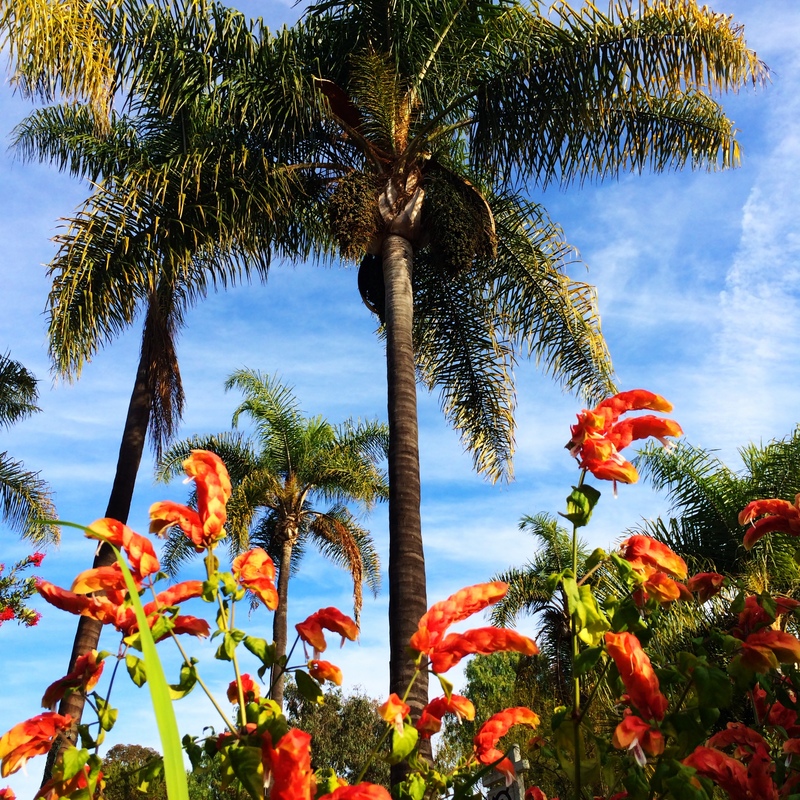 Bright orange birds of paradise, the most enormous prickly pear cactus I’ve seen, palms and eucalyptus…and even a “young” redwood (60 years old). These are only a fraction of the photos I took today! I had a wonderful adventure today and learned some interesting history about my area. I look forward to taking others to see this hidden treasure…I’m sure I will enjoy some more afternoons exploring the past and envisioning the future. What treasures lie undiscovered in your place? 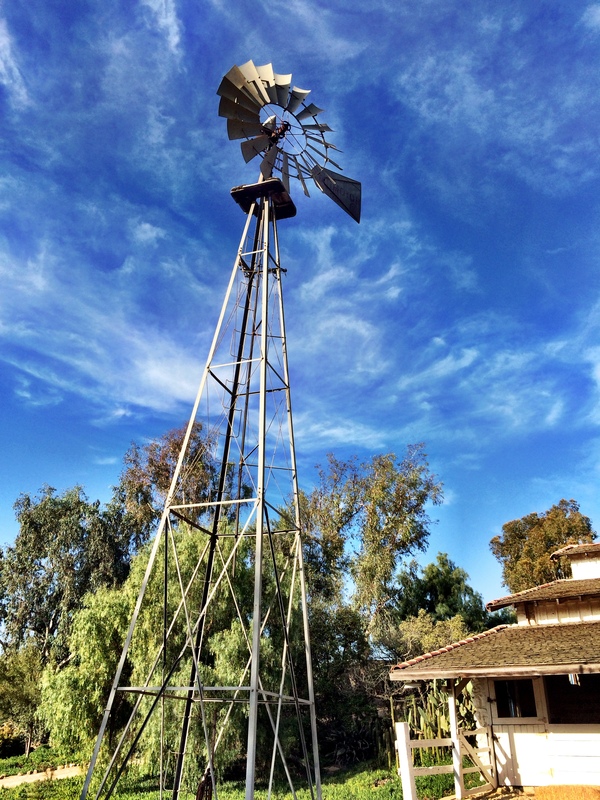 This entry was posted in nature, photography and tagged adventure, Cisco Kid, history, iphoneography, Leo Carillo Ranch, pea fowl, peacocks, photography, windmill on November 30, 2013 by kd0602.